If heaven looks anything like Brooklyn Eats, I no longer have a fear of dying. Over 100 Brooklyn food artisans filled every inch of the massive East Williamsburg warehouse space on Flushing Avenue. It was like Brooklyn Flea and Smorgasburg combined, double the size and all free. Organized by the Brooklyn Chamber of Commerce, I was surprised to learn Brooklyn Eats has been around since 1997. How could I have not known about this magical day of Brooklyn food? The show has grown each year from the original 20 borough-based restaurants to what it is today. This was the first year Brooklyn Eat was open to the public. The show was rebranded to focus on Brooklyn made products. The vendor guidelines? Brooklyn-based food manufacturers and businesses that are involved in packaging and distributing at least one made-in-Brooklyn product. As a locavore if it’s not locally grown, I make sure it’s at least locally made. That being said, I’m pretty familiar with the Brooklyn artisan food scene, or so I thought. The regulars were there–Brooklyn Brewery, Jacque Torres Chocolate, Brooklyn Brine, but I was more impressed by the long list of purveyors I didn’t know. For two hours I wandered, tasted and chatted. The show ran all day until 5pm, but I was already starting to slip into a food coma. So what did I learn about our borough’s food scene? Brooklyn is sweet. Nearly half the vendors had baked goods or confectionaries. Caramel sauce anyone? From Spoonable, LLC. 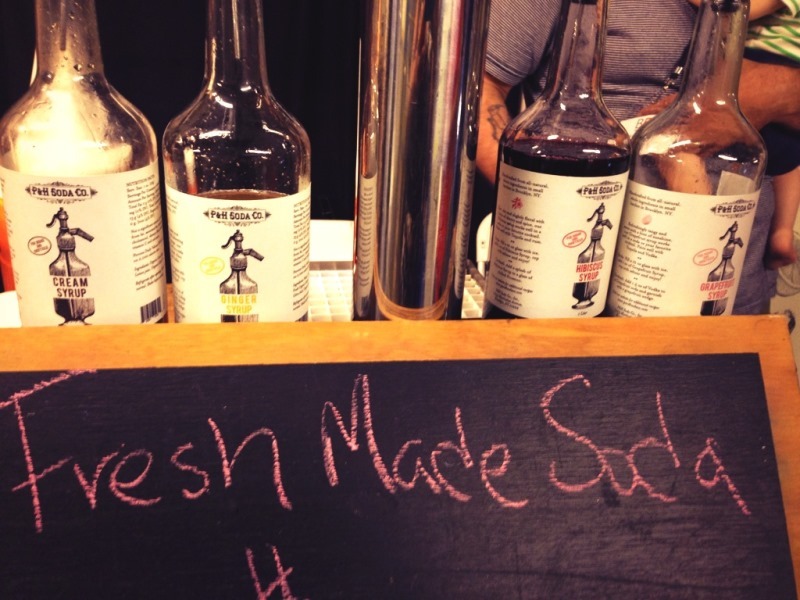 The only soda worth drinking is one just made by P&H Soda Co.
Toss up between hibiscus and grapefruit. Key Lime Pie is the perfect summer dessert. Preferably from Steve’s. Perfect portions–no need to share. Kombucha is every bit as good as people say. 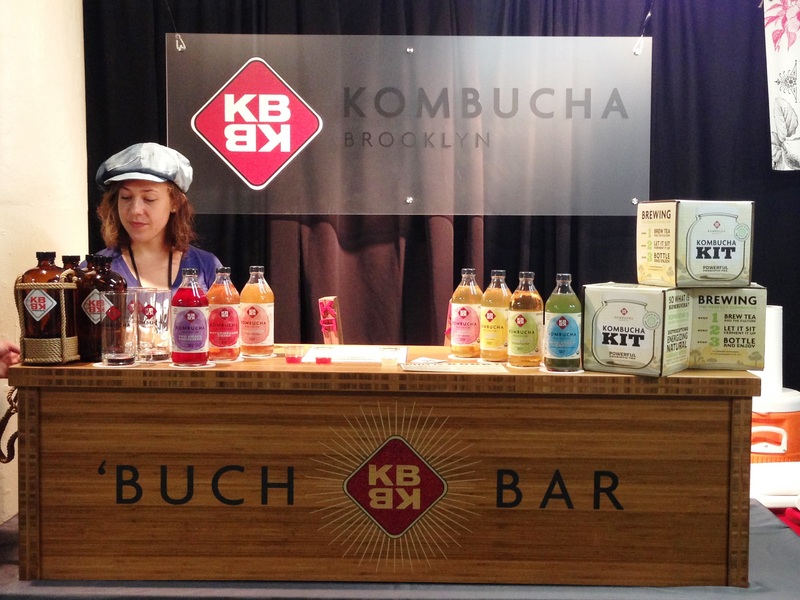 Kombucha Brooklyn sampling and selling kits. If you’re too lazy to jam yourself, The Jam Stand is the next best thing. With flavors like “Sweet WINO-nion” and “You’re My Boy BLUE-berry Bourbon” how can you go wrong? Chocolate graham crackers with raspberry marshmallow easily beats any ordinary s’more. The lovely ladies at Three Tarts. I can’t wait for next year’s event and if you have the time I highly recommend going. Free Brooklyn food. How can you resist? Be sure to follow Brooklyn Eats and Brooklyn Chamber of Commerce to be the first to learn about the 2014 show and other events. Next year I have to go, totally missed it this year. It’s a wonderful event and I love that it showcases local Brooklyn based, grown, made and prepared foods. It was a wonderful event and so many newer companies I’d never heard of! Looks like amazing things! I’m working on getting into Kombucha and Soda making, that Kombucha kit is a great idea. Kombucha is such a big thing here. I’m almost embarrassed to say Wednesday was the first time I tried it. So good! Like juice but a bit tart and vinegary. P&H Soda Co. has a new book out with syrup flavors for making sodas. We don’t drink soda really but love the artisinal stuff. A soda stream is certainly in our future. Haha, don’t worry Wednesday was my first time. I tend to shy away from things that get too hyped up. But after tasting, I might jump on the bandwagon. My friend’s very into fermentation (pickled products mostly) and has convinced me how easy it is. Making kombucha seems like a safer way to start. Whoah. That would be worth a trip to NY! Definitely! It was so much fun and all free!